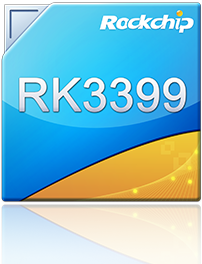 The chip RK3399 possesses high performance and high expansion. It is the strongest chip among Rockchip’s products. The CPU of RK3399 adopts big.LITTLE structure: dual Cortex-A72 big cores+four Cortex-A53 small cores. It optimizes integer, floating point and memory hugely, strengthens whole performance, power consumption and core area revolutionarily. The GPU of RK3399 adopts quad core ARM new advanced image processor Mali-T860, integrating more bandwidth compression techniques: Intelligent overlay, ASTC, local pixel storage and so on. It supports more image and computing interfaces, increasing the whole performance by 45%. 1.Integrate dual USB3.0 Type C. Support audio&video output of Type C.
2.The pixel is 800Mpix/s with dual ISP. Two-way camera can be input at the same time. It supports 3D and extracting depth information. 4.HDMI2.0 interface, H.265/H.264/VP9 4K@60fps HD video decode and display. 5.Built-in PCI-e, support high-speed WIFI and storage extension based on PCI-e.
6.8-channel digital microphone can be connected. 7.Support comprehensive system: Compatible with Android, Linux and other OS.